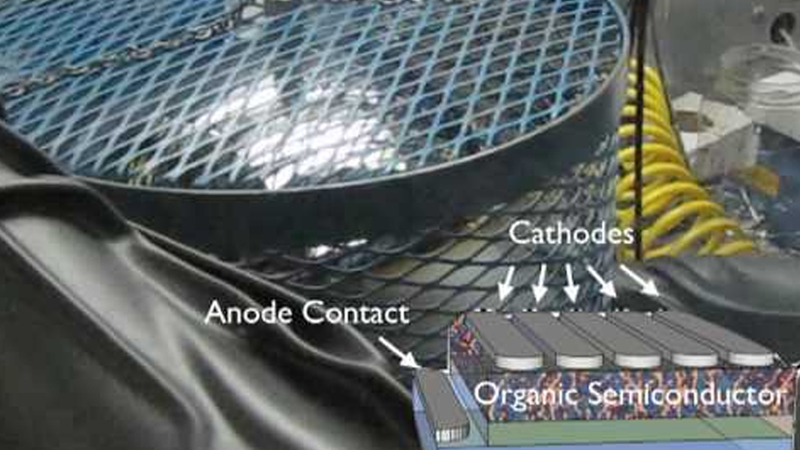 A new technological breakthrough could change the way we power electric cars. New polymer-based flexible solar panels could eventually cover the outside of your vehicle, allowing it to charge as you drive. This significant breakthrough could have wide repercussions on how we power a range of technologies. Here, Dr Franky So, inventor and chief technology officer (CTO) of NextGen Nano, explains how combining organic semiconductors and photovoltaics will allow us to cut the cord on electric vehicles. The first rechargeable electric vehicles were made in 1859. Sadly, they were not immediately practical especially because of the high cost of electricity. In comparison, the first modern internal combustion engine only came out in 1879. It seems we've gone full circle as electric vehicle technology continues to gain popularity once again. However, despite the advances in electric car technology over the last decade, the electricity we use to charge EVs hasn't seen a drastic change in the way it's generated. Although renewable energy in the form of solar and wind now contributes more to the grid, a growing demand for EVs will not only place a burden on the generation network, it will also require a comprehensive overhaul of the charging infrastructure. If this demand outstrips industry's ability to put in place the network sustainably, we may face challenges in the widespread adoption of EVs. One possible answer is to shift the generation directly to the vehicle at the point of use. Although the technology for solar powered vehicles has been around for a while, it has traditionally failed to be commercialised for automotive use in the same way that internal combustion technology has, due to a variety of factors. These include things like efficiency, range, battery technology, the cost of manufacturing and recyclability. This is not ideal because commercial-grade second generation solar photovoltaic cells deliver efficiency of around 20 per cent. They are also rigid, heavy and use costly rare-earth minerals that would be costly to recycle at the end of the vehicle's lifecycle. The production of silicon-based solar panels also incorporates the use of toxic chemicals that are very polluting to the environment. Now, a new breakthrough technology from NextGen Nano expects to tackle many of these issues. NextGen Nano has developed a polymer semiconductor that is alterable in material design, is lightweight, flexible, semi-transparent and cheap. When paired with photovoltaics it allows for the creation of polymer solar cells. This is a new exciting class of energy harvesting technology that has the potential to revolutionise the way we power things like electric vehicles. The technology works by layering different materials to make up the solar cell. The NextGen Nano substrate consists of five layers. The first layer is the electrode, followed by a charge-conducting interlayer, a light-absorbing layer made of organic semiconductor material, another charge-conducting layer, followed by a transparent electrode layer and the whole assembly is finished in an outer layer of flexible plastic. The possibilities for this technology are endless. Instead of strapping rigid and heavy solar panels onto a car, cars can be covered by this flexible solar-power-generating sheets. This will take advantage of every available inch of surface area to generate energy. In essence, this technology could become the material of choice for car bodies. Not only could it lead to the development of a new range of electric vehicles that could charge themselves as you drive them, it would increase their range and eliminate the need for costly infrastructure developments. Solar-powered vehicles may have taken a detour over the last century — leading to the rise of the internal combustion engine — but they may soon be back with a vengeance. As new polymer solar cell technology gains traction, it's not only the electric vehicles that will be cutting the cord. Anything with a reliance on the grid for electricity could be transformed.